FINDING a new breed of athletes is one of the goals for the Consolacion Mountainbike Duathlon 3.0 set on March 3, which will start and end at the parking area of SM City Consolacion. “This sport is more affordable compared to triathlon. What you need is a mountain bike and running shoes and you are good to go. The duathlon community is growing,” said race course designer Fritz Co in a press conference on Friday, Feb. 8. “Duathlon caters more to the grassroots level. In this sport we can see raw and pure talents coming out. It’s a ground where you can discover upcoming athletes who have the potential for other endurance sports like triathlon,” added head organizer Alan Choachuy. A testament to the growth of the community is the positive turnout in the registration. “Right now, we have 270 or 280 participants. 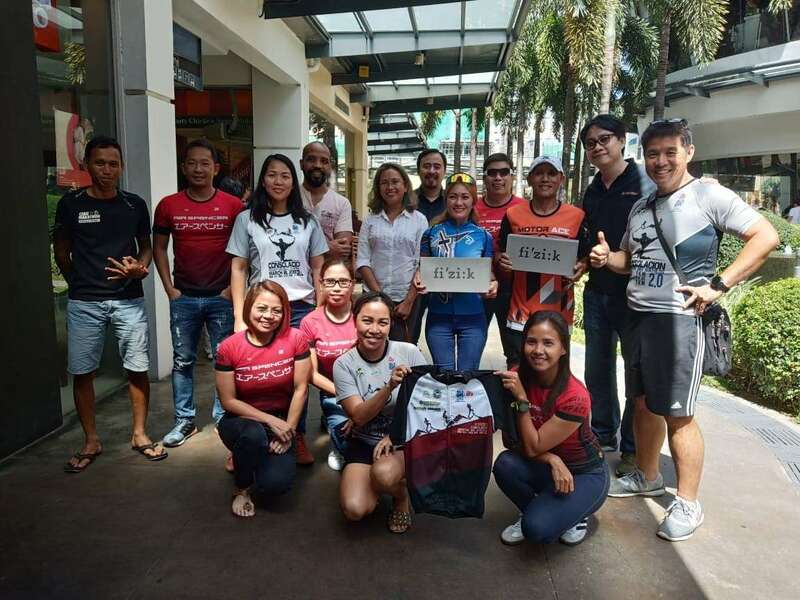 It’s only a few shy of our target of around 300,” said Co.
Also present at the press conference was the lone Filipino Xterra pro Joseph Miller and the event’s two-time defending elite women’s champion Lucille Ruiz. Miller shared that this year would be his return to top form after being bothered by an injury last season. The race next month is the start of Miller’s loaded year that will be highlighted by a stint in the Xterra Asia-Pacific Tour. “Duathlon is really a different breed of sport. It’s really challenging. I’m looking forward to having a good race this year,” said Miller, whose lineup of races includes the Xterra Series in China, Australia, New Zealand and the World Championships in Maui, Hawaii. Co said this year’s bike route would be the most challenging one for the athletes who will traverse the 5-kilometer run, 20K bike and 3K run course. “It’s almost the same as last year but there are changes on the landscape. The bike is going to be interesting because we will be passing a quarry and there are rocks. The run is faster this year because the roads are now cemented,” he said. Aside from the elite class, the other divisions are age group, E-bike, relay all male, relay all female, relay mixed, female open and pamugasay. The male and female champion in the elite will receive P5,000 cash prize and a Fizik Saddle. The second and third placers will get P3,000 and P2,000, respectively.